“We’ve been getting hacked off with feminism telling us what we can’t do, and we wanted to celebrate all the exciting, brilliant things modern women are doing. All ‘women who do’ are welcome at The Other Club, Bunnies to Barristers. One other thing, having read the links you sent me. “We’ve been getting hacked off with feminism telling us what we can’t do…” This strikes me as divisive and intellectually lazy (at best). Feminism has never told women what they can’t do. Some individuals have. To make feminisim the enemy is to denigrate the movement that has for a very long time done battle against real forces that have always sought to tell women what they can’t do. The lack of historical, social and political perspective on the feminist movement is not just thoughtless and a calumny. It uses the movement which has achieved so much for women, and recognizes how much is still left to do, as a cartoon prop for preening and self-promotion. Some of the events they are putting on are interesting, and a club for women to eat, drink, talk and enjoy themselves is an excellent idea. But if they really believe that they are producing a feminism-free venue for women, they need to think harder and better. Why, if feminism is irrelevent, should there be a need for a women’s club at all? I am really tired of those younger women who think they are beyond feminism. In truth, they haven’t even begun to approach it. Define “feminism”. That is the crux of the matter. I also am hacked off with a LOT of women who call themselves feminists. I once called myself a feminist, by which I meant a fighter for equality of opportunity for all people. Many younger women, and a good few older ones too,appear to regard feminism as preferential treatment for women. I refuse to class myself with them. That’s what we fought AGAINST. I want to be beside; not above, not below. Equal, but different should I wish to be. I am becoming also increasingly aware that we measure women’s equality using a bloody great huge men’s yardstick. We measure it by average income, by wealth accrued, by numbers of women in positions of power in business. Why? Why do we want to turn women into stressed out wreckers of the world’s resources? Why are we not promoting excellence in traditionally female fields as aims for men instead? Why are male ideals so desirable? The other day I was discussing Home Economics as taught in schools. Feminism has had the effect of turning a very useful life skills class into a worthless “work skills” excercise. Kids aren’t taught how to feed themselves and their families, they’re taught what employers want them to learn, just in case they decide on marketing or catering as a career. What the hell was wrong with learning how to feed your family? Why weren’t BOYS included in this life skill? Why did we have to modify something worthwhile into something male-acceptable and useless? Thank you , Jenny! That was a great response. Hoping that I might still be classified as ‘young’ (32 is still young, I hope!? ), I find myself delivering feminist rants with increasing regularity, fighting for an understanding of feminism as a struggle for equality in the classroom, in the pub, among colleagues, in shops, taxis, buses, on the street, with my friends, and particularly and especially at the weddings I feel (embarrassingly) socially compelled to attend. I am equally appalled at the prospect of a women’s club that denies the importance of supporting feminism i.e. the rights of women and men to be treated equally, fairly and without prejudice or discrimination. And of course it’s not ‘young women’ who are the problem – it is, exactly as Jenny Diski says above, the lack of dialogue, the intellectually contradictory abuse of feminism as a straw (wo)man for the ills of generations of marginalization. There is no such thing as a ‘cupcake generation’ – see Holly McNish’s brilliant poem about cupcakes (http://www.youtube.com/watch?v=eaL2tN-M6s4) – but there is a hideous consumerist culture that enjoys belittling women. The saddest thing of all is to see enterprises that unwittingly swallow that culture and regurgitate it as if it is their own. I’m impressed at your gentleness, Jenny Diski – I would have been enraged. This is not about dividing generations of women between young and old, feminist and anti-feminist: it’s about pointing out divisiveness and making the people who promote that divisiveness accountable for what they are saying. Yes, CB is right. I was careful about that sentence: those younger women who think… Plenty of older women dismiss feminism and always have, but that is usually from a different angle. Certainly there are young women who are feminist. How could there not be? I wish that there was more dialogue. Judy, I really hope you see this. 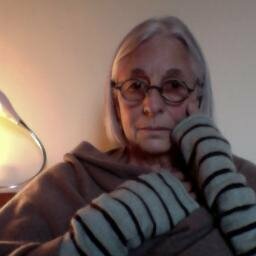 Note that Jenny Diski said ‘those younger women’, not ‘all younger women, every single last one’. I am 24, I don’t equate my whole generation with cupcakes (some of us are more interesting than that). Many of us have an interest in what feminism has done, as well as just how much there is left to do. I’ll thank you not to treat us all as one ignorant mass of frivolous things – we’re not all one, just as The Other Club is not all that feminism is (far from it). In thorough agreement – a question which occurs to me, though, is how those with a “historical, social and political perspective on the feminist movement” might seek to educate the new generations of young women who grow up in a society where the benefits brought to us by feminism are taken for granted. I know I certainly did, and I wish there had been some provocation to deeper reading and conversation about feminism while I was still in school. It’s the cupcake generation. They take for absolute granted all that the rest of us spent decades battling for and now blithely assume all sublime, bless them.